Home > Alternative Treatments > Can Oxygen Treatment Help Headaches? Early observations made by people with headaches that they felt better when they breathed deeply and went out in the fresh air led doctors in the 1930s to investigate whether it was breathing in extra oxygen that made the difference. Early experiments with people with very severe migraines showed that some of them experienced a complete recovery, with their symptoms disappearing within minutes. Back then, the classification of headaches was not so advanced, and when further trials involving hundreds of patients was carried out, the results were difficult to interpret. It is likely that some of the patients supposed to be suffering from migraines, were actually having a different type of headache. 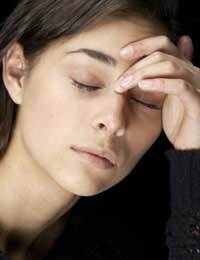 It seems that not all headaches respond as well as migraines to breathing in high levels of oxygen. Later studies carried out in people with cluster headaches showed that breathing in high levels of oxygen took away their symptoms just as effectively as the main drug treatment of the time; ergotamine. Ergotamine is no longer used because of the severe side effects associated with it, and at the time, the discovery that oxygen was just as good as ergotamine seemed very promising. These are sadly lacking. Very little serious research has ever been done to find out if oxygen can help either migraines or severe cluster headaches. Some people have been tempted to try out the therapy, and if it worked, then to fix up an oxygen supply at home so that they could self-administer oxygen therapy whenever they had a particularly bad headache episode. In 2008, a group of Australian researchers decided to look at all of the studies that had ever been done on the use of oxygen in headache treatment to produce a meta-analysis. This is done routinely to assess the body of evidence available in a particular area of medicine to see if there is broad agreement between different studies. Only nine relevant studies could be identified but the meta-analysis was published as a Cochrane review. The studies identified were also quite small, each containing only a few patients. In total, only 201 people have ever been studied in clinical trials of sufficient quality to be able to draw conclusions about the effectiveness of oxygen. This seems strange considering that oxygen is a readily available treatment, it can be administered on demand by the person who suffers from the headaches, and it has no known adverse effects. Since 2008, there has been one much larger study done in the UK; this was published in 2009. It studied 76 adults who were given high levels of oxygen to treat very painful cluster headaches. The people in the trial all had such bad attacks that they referred to them as ‘suicide headaches’; they were so bad, the thought of suicide often crossed their minds. As soon as one of the trial participants felt a headache coming on, they had access to an oxygen cylinder attached to a mask which they could put on immediately. A control group were given an identical cylinder that contained air with its usual 20% of oxygen. The results were quite impressive; 78% of the people taking the high level oxygen reported that their headaches lessened in intensity compared to only 20% in the control group. This was a significant difference. This is not known for sure, but then we don’t yet fully understand why headaches occur. There have been various theories about migraine headaches that supposed that the pain came from swollen blood vessels but why this would happen is unclear. Later theories focus on the conduction of electrical signals through the brain, which become abnormal as a migraine attack starts. Nerve signals become more erratic and this may affect the blood vessels which flow through that area, leading to inflammation and pain. Oxygen therapy is known to change the patter of blood flow through the brain. In cluster headaches, it causes a significant decrease in the amount of blood travelling through the cerebrum, which then correlates with a reduction in headache pain.